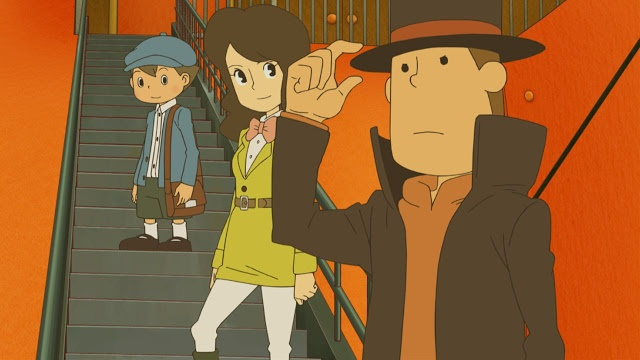 Professor Layton and the Azran Legacy will be landing in Europe on 8th November in both retailers and on the 3DS eShop. To celebrate its big launch, GAME is offering a special gift to those who pre-order the last iteration of the current trilogy. Those who reserve a copy at the UK retailer will receive a charming leather card wallet for free. It looks nice and professional with the Professor Layton logo - complete with top hat - engraved on the front. The perfect accessory for the modern day gentleman, we're sure you'll agree. GAME has picked up a few nice little gifts recently, with the company receiving a musical chest for The Legend of Zelda: A Link Between Worlds, though it is actually part of a limited edition set that features a poster and a digital copy of The Legend of Zelda: Links Awakening DX. Will this new offer entice you into pre-ordering Professor Layton and the Azran Legacy, UK gamers? Let us know in the comment section below. I hope this or something like it comes to the US as a pre-order bonus. I want it so badly and don't want to pay insane prices on eBay. I want this! Gamestop needs to step up its game! I think GAME may just put this into a nice box and wack £50 price tag on it like LoZ A Link Between Worlds?? Is there confirmation that its free?? My wallet of 5 years is breaking apart, and I can't get this? 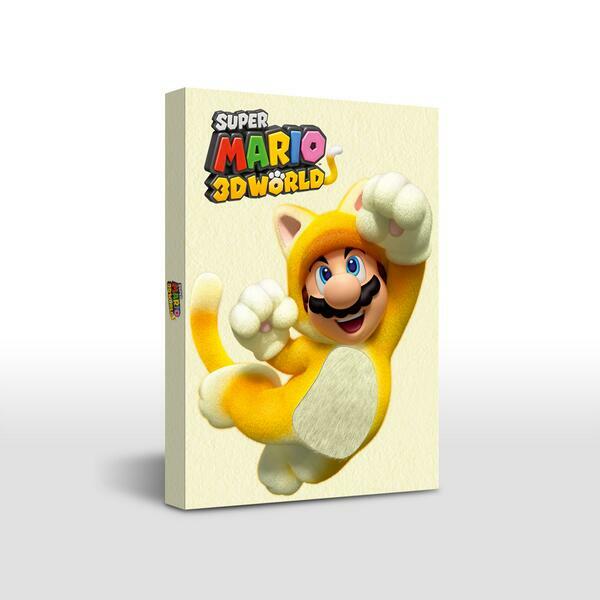 We got also a Cat Mario cover (thing xD), as pre-order for Super Mario 3D World. Think this was announced a while ago? First Zelda and now this, UK is getting spoiled with extra goodies and what do we get in the US? whatever little preorder bonus Gamestop feels like giving out, if any. Game is getting worse all the time (At least in the store close to me) Now they have all the Nintendo stuff facing away from the entrance. (The only way to find it it is to walk around the whole shop). Plus nearly everything is used at £30-35 or new at £40 (Only Pokemon / Sonic Lost World). Most people would probably have assumed they had stopped selling Nintendo stuff entirely. (I nearly did thought I had looked everywhere but missed part of it). Dunno why Nintendo thinks giving them the download monopoly is a good idea. on a side how long will it take game to turn this in to a collector edition and add 20 quid to the price. Darn it... UK and JP exclusives. Story of my life.